On a warm, sunny day in late March dozens of college students gather for a rally on the northern end of the Queens College campus. Many of them carry small signs with messages of tolerance and inclusion. Solidarity is the overall theme of the event, although there is a particular emphasis on the struggles of the immigrant community. As one of the more than 750,000 D.A.C.A. recipients in the U.S., much of Marcia’s activism is informed by her personal story. Her work as an interpreter, for example, utilizes her knowledge of Spanish to help asylum seekers during interviews with officers of the Department of Homeland Security. It all began with the November elections. Marcia recalls the initial reaction to Donald Trump’s election among many of her close friends, “A lot of us cried, we felt powerless.” Yet after a brief period of mourning, grassroots resistance movements would begin to emerge around the country. Nevertheless, she remained apolitical – her focus remained on building community. 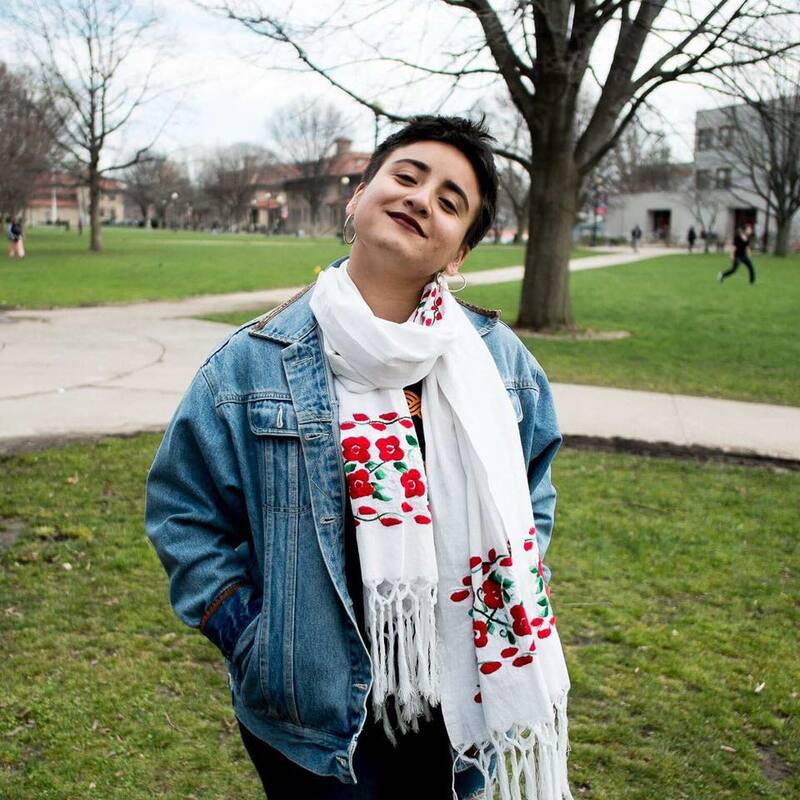 During the fall semester, for example, she helped to organize bi-weekly meetings where women-identifying students could meet, have a cup of coffee, and share conversation within the context of a safe space. Although scheduled to take place early in the semester—so as not to interfere with her classes—the rally would be delayed until just before spring recess. In that time, the president signed Executive Order 13769, more commonly known as the “Muslim Ban,” which suspended the entry of residents from a list of seven Muslim-majority countries—in addition to lowering the number of refugees allowed into the country. It was during a general interest meeting for a new student political party that Marcia emerged as their candidate for Student Association (SA) president. Deciding that she could no longer ignore or remain uninformed about politics, the experience soon turned into a sort of political boot camp. At the same time, Marcia was becoming involved in the campus sanctuary movement, which mirrors the broader, faith-based sanctuary movement of the 1980s that has since reemerged. Hundreds of cities, counties, and states in the U.S. have declared themselves sanctuaries for undocumented immigrants. “I think it is crucial to establish a safe space for the undocumented community, especially in the schools,” Marcia asserts. Yet having a safe space for undocumented students is just one of several interpretations of the term, which vary from symbolic resolutions to the adoption of an official policy, i.e. school officials agreeing to not cooperate with federal immigration officials. 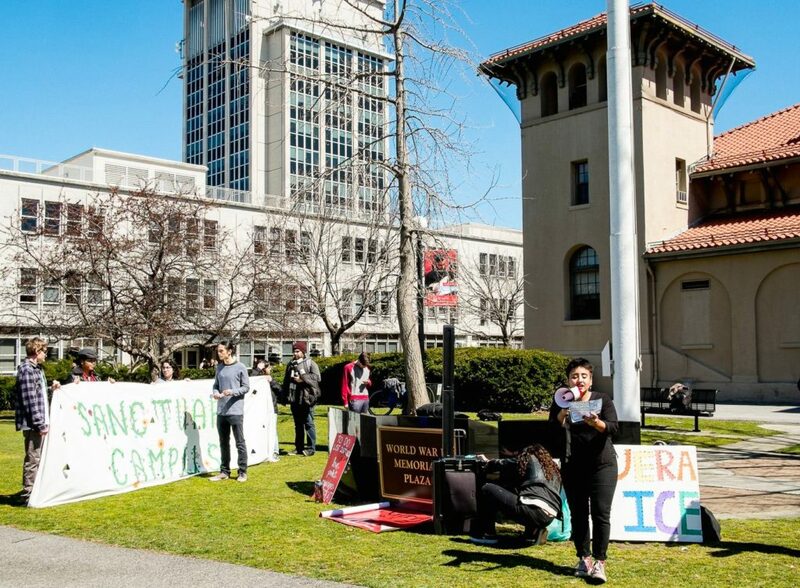 While dozens of colleges have in fact become sanctuaries as a matter of policy, there has been hesitation on the part of public institutions which receive funding at the city, state, and federal level. President Trump had already threatened to cut funding to sanctuary cities in the early days of his administration.